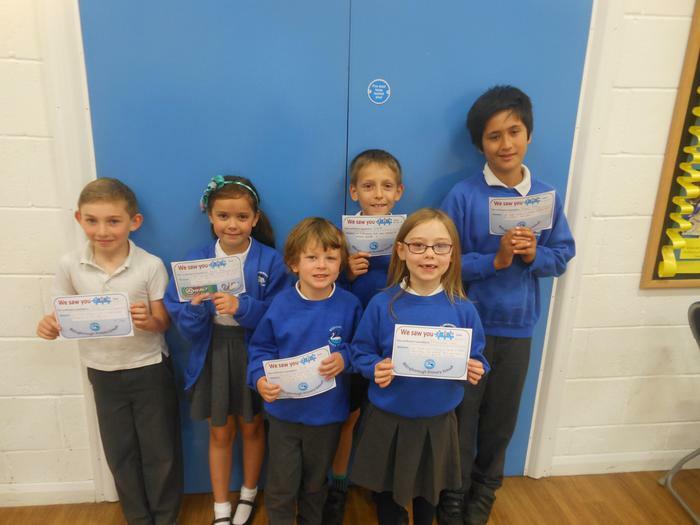 Each week we celebrate the children who we have seen really trying their best in school. 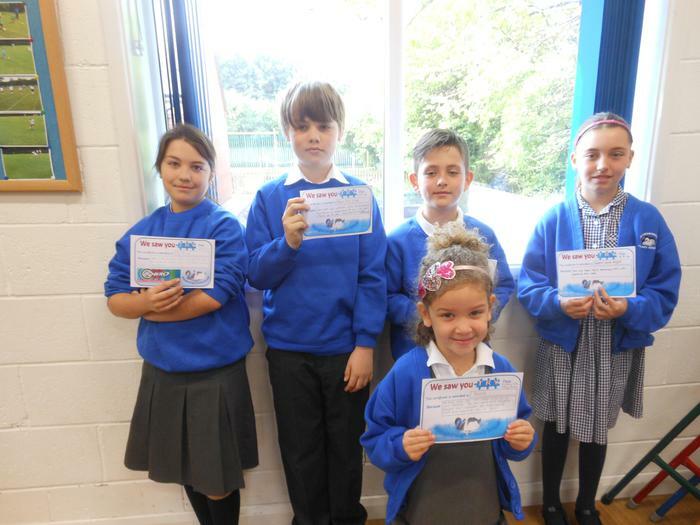 Here are some of our recent superstars! 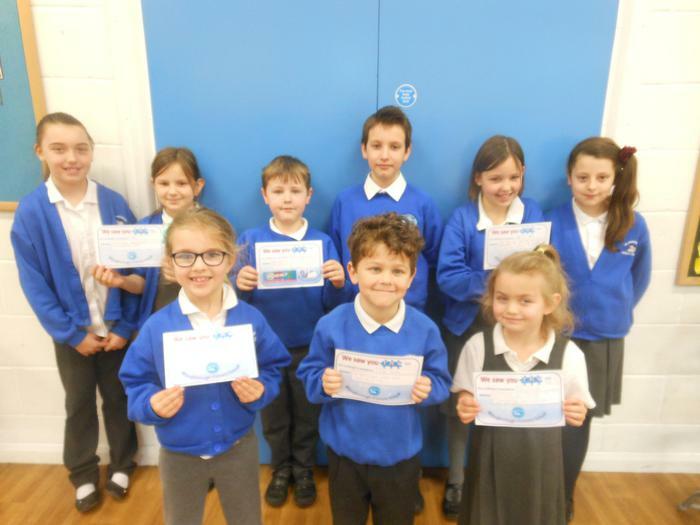 This week, we have been impressed with children rising to new challenges, sensational use of vocabulary as well as children's confidence growing. We have also seen further examples of great storytelling as well as trying hard in all lessons. 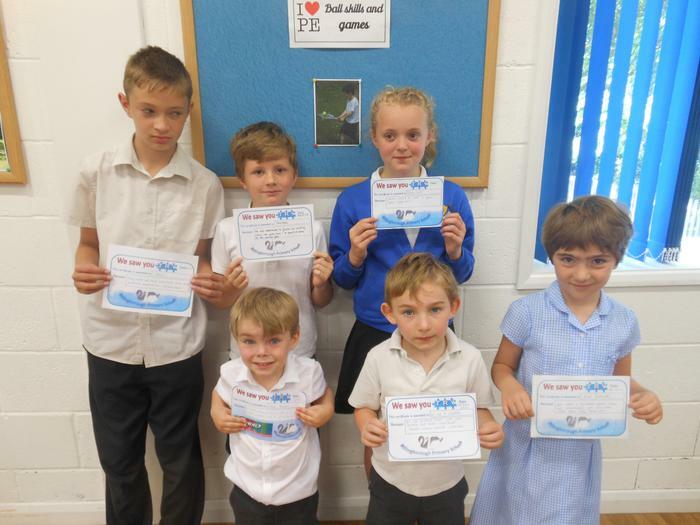 Congratulations to our 1st TRY certificate winners of the new school year. 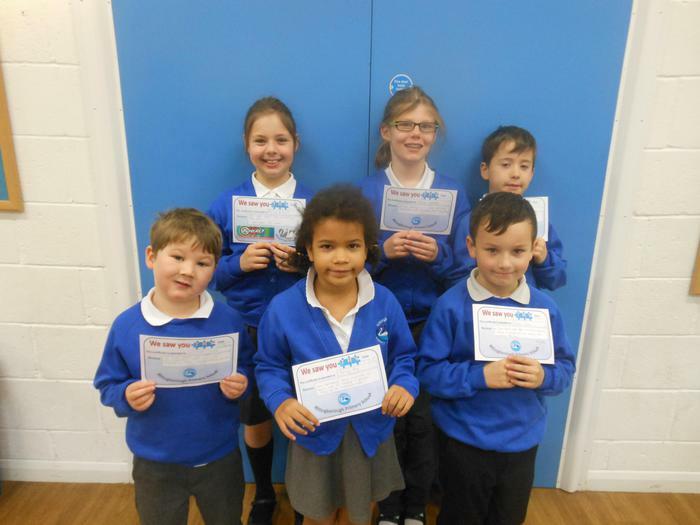 Children have been congratulated for their love of learning, great attitude in school as well as fantastic listening skills too. 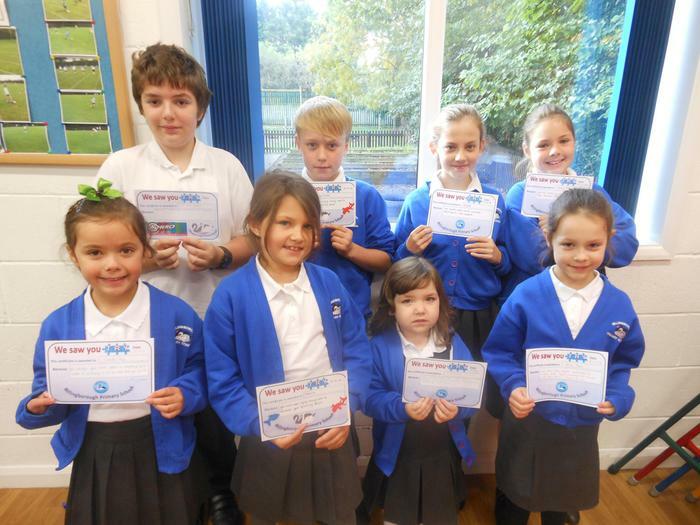 Well done to those children who were presented their TRY certificates. 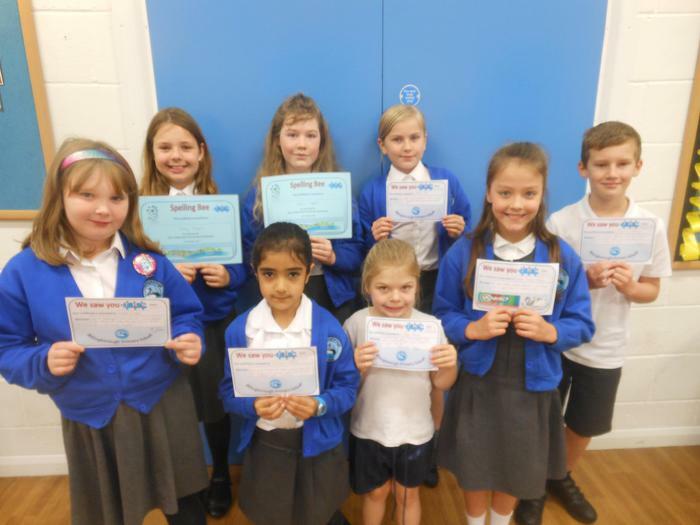 Well done to those children who were presented their TRY certificate this term for many reasons including trying hard, persevering, being helpful and kind, settling into our school well, showing respect and great listening skills. Well done to William for trying hard with his learning and becoming more independent too. Congratulations to Darcy for her effort with reading and spelling. Theo has a fantastic 'I can' disposition with his learning and believes in himself. Jacob is also always ready for work and tries hard. Congratulations to all who received TRY certificates. Alfie enjoys reading wide range of books and Emily continues her drive for learning along with many swimming achievements. Well done Arthur for trying hard with your work as well as Caspar for his achievements with Maths, Literacy and handwriting. 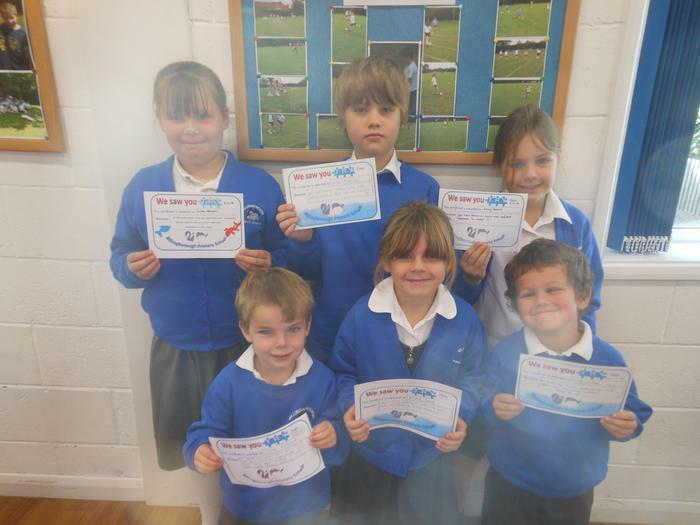 Well done to the Y1 children from Water Vole class who will be moving to join Roe Deer class next week. Congratulations to all who received TRY certificates. 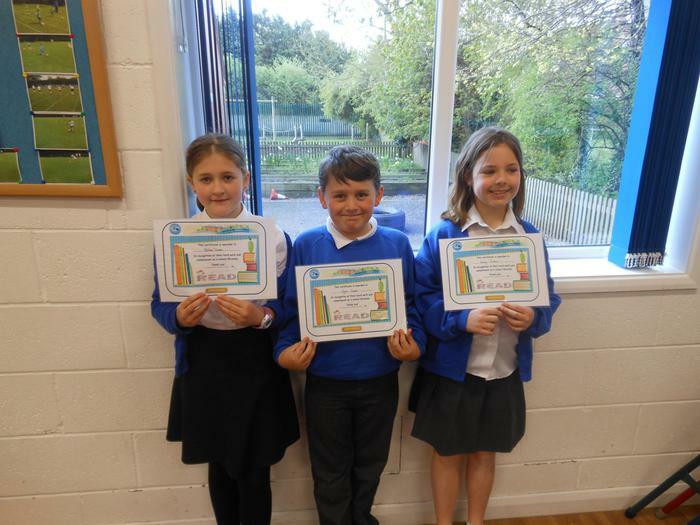 Lola has been working hard in Maths with her multiplication, Ethan is congratulated for always being so positive about his learning and Aminah for her pleasant, smiley attitude. Well done to Chloe for your 'can do' approach to your learning and to the whole of Barn Owl for such a fantastic first term. Well done to Henry for trying hard with his writing and for Ivy for lovely story telling language and retelling. Well done to Cameron and Lila for trying hard with their learning this week. Well done to Brandon for being focused and ready to learn, Isobel for some fantastic story writing and Caspar for working hard at Wake and Shake. 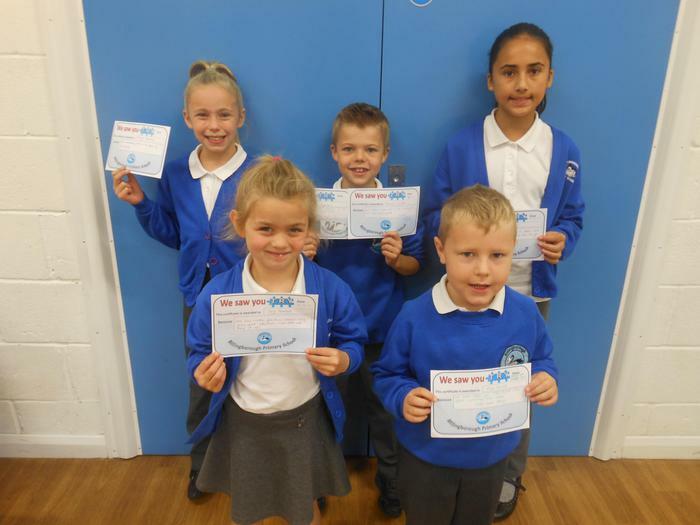 Congratulations to our 1st TRY certificate winners of the new school year. 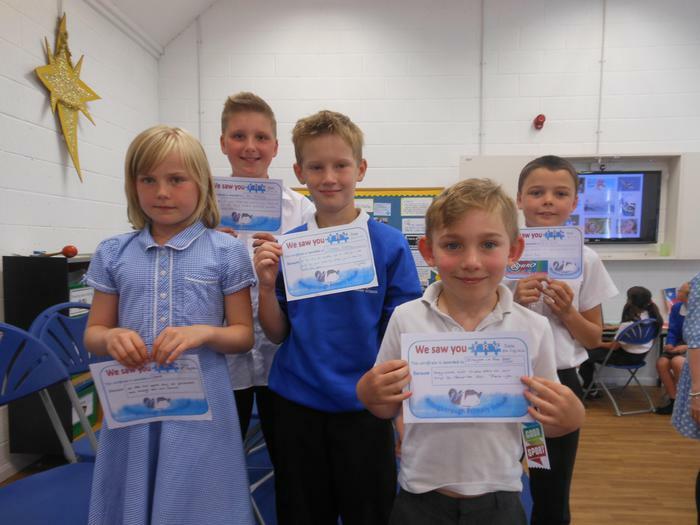 Well done to those children who were presented their TRY certificate on Friday 30th June. 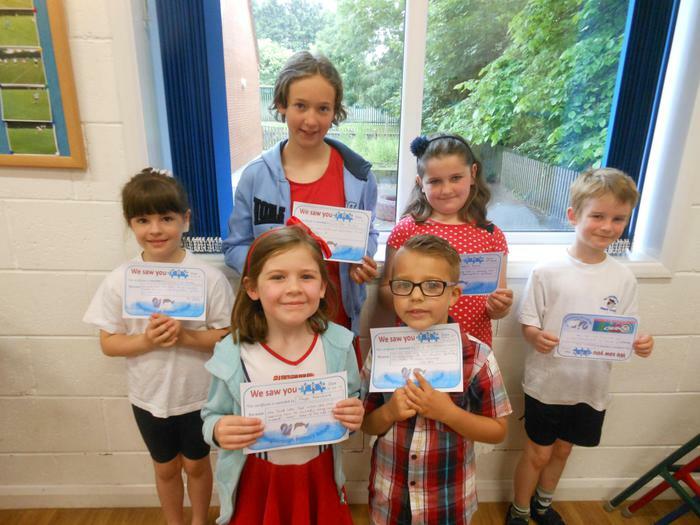 Well done to those children who were presented their TRY certificate on Friday 23rd June. 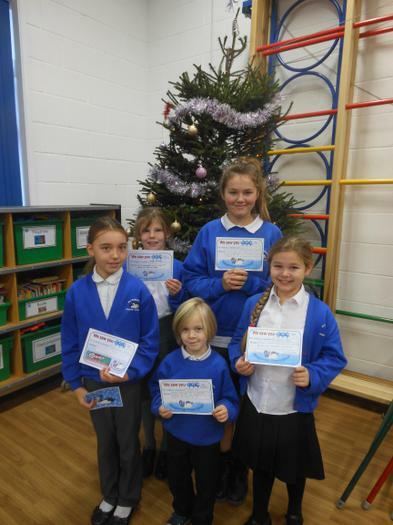 Well done to Sophie-Louise, Emily, Scarlet and Zoe for trying hard with their learning this week. 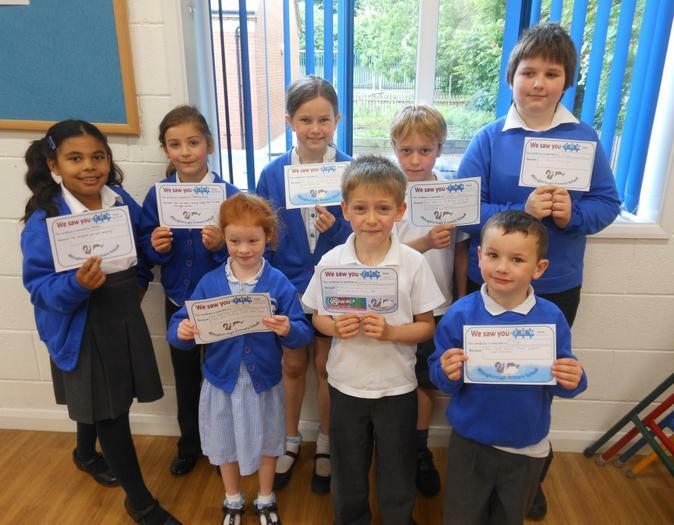 Well done to those children who were presented their TRY certificate on Friday 16th June. 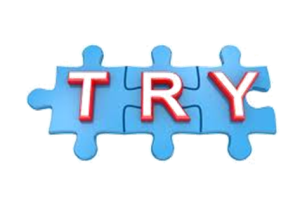 Congratulations to all who received Try Certificates on Friday 26th May. 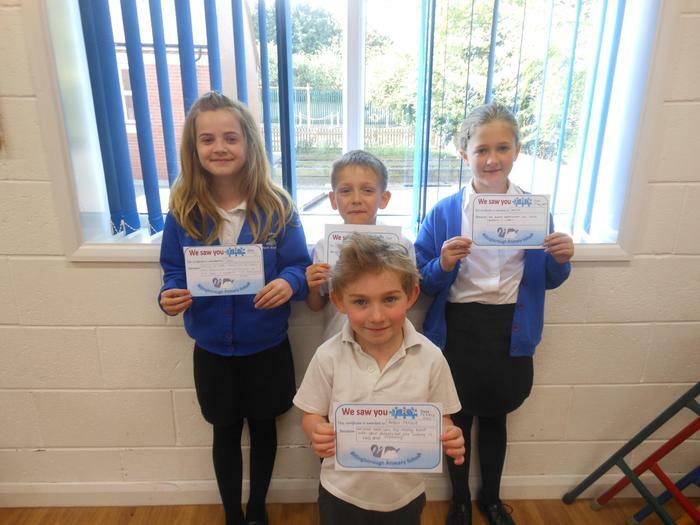 Merryn and Will were chosen for their impressive all-round contributions to all lessons, Thomas has impressed Mrs Possnett with his developing writing skills and Maude has been trying really hard in PE. The 2 'older' ones at the back were thanked for all their great work feeding Years 3 &4 on their sleepover last weekend! Friday 28th April. Well done to Alexander for his maths work, Dominic for trying hard, CJ for his handwriting and fractions work and Ethan for his Multi skills work. Congratulations also to Dominic and William for their achievements this week. 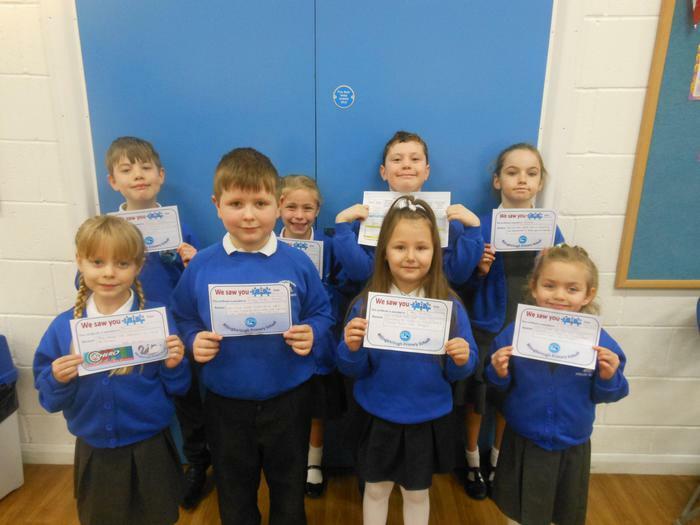 Well done to those children who were presented their TRY certificate on Friday 21st April. 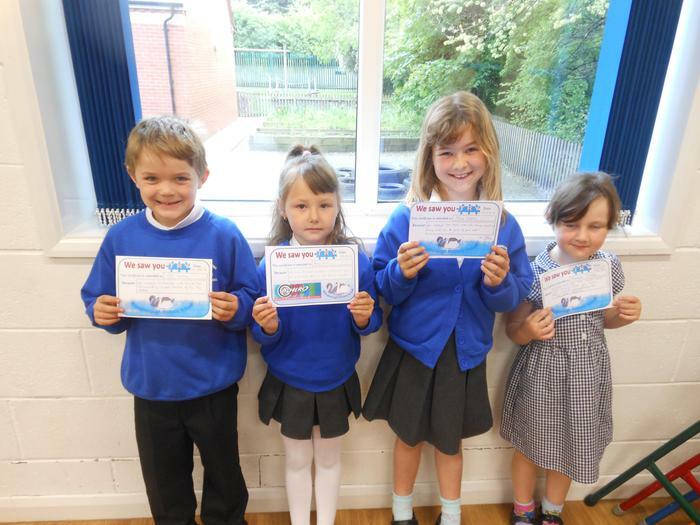 Well done to Millie, Jacob, Lilliah and Lola for trying hard with their learning this week. Friday 17th March. 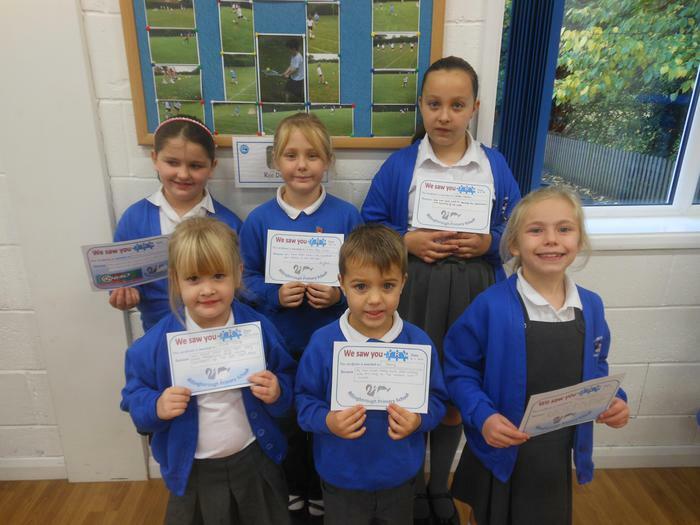 Well done to Sophie-Louise, Zoe, Radu and Bethan for their hard work this week. 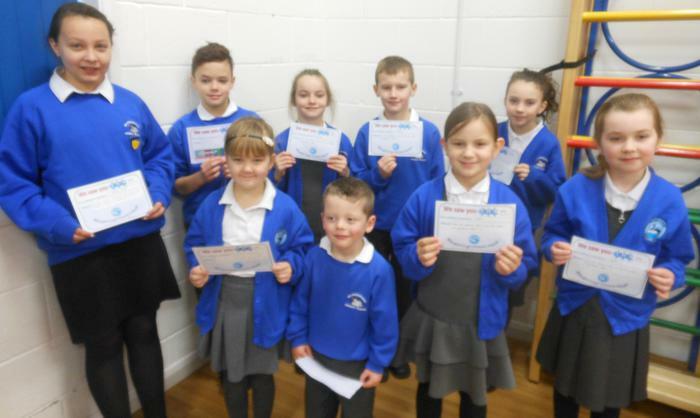 Well done to those children who were presented their TRY certificate on Friday 10th March. 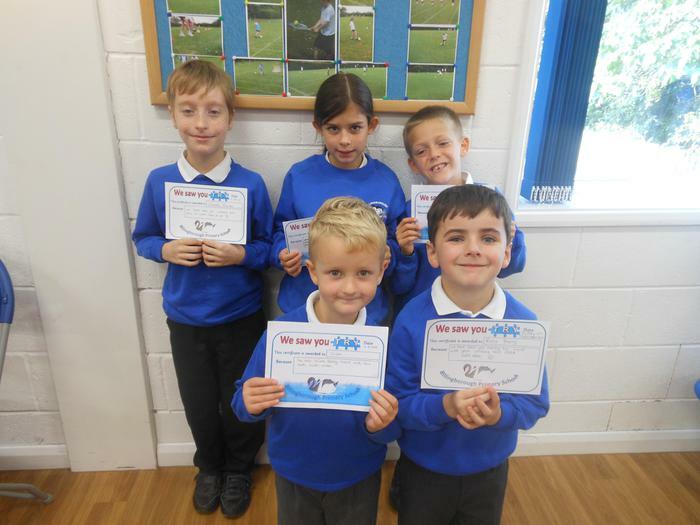 Well done to Darcy, Liam and Luca for trying so hard this week. 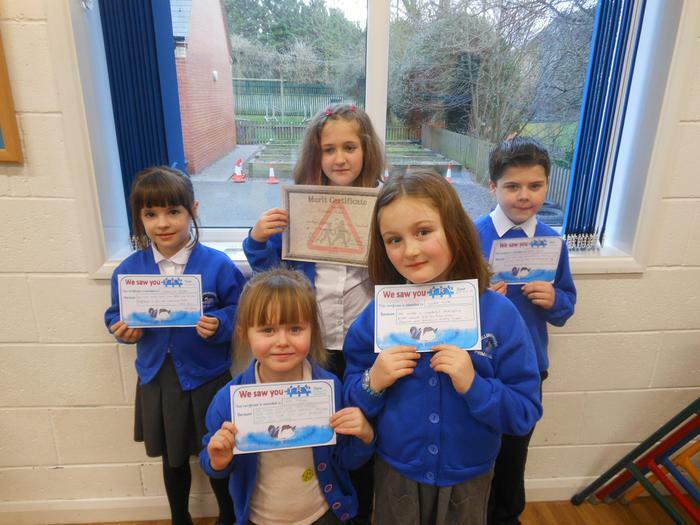 Well done to the children who were awarded their TRY certificates on Friday 24th February. Henry has tried hard with his Phonics, Literacy and Numeracy, whilst Paige has produced some excellent Roald Dahl work. Well done also to Brooke, Bethan and Brooke for their hard work too. 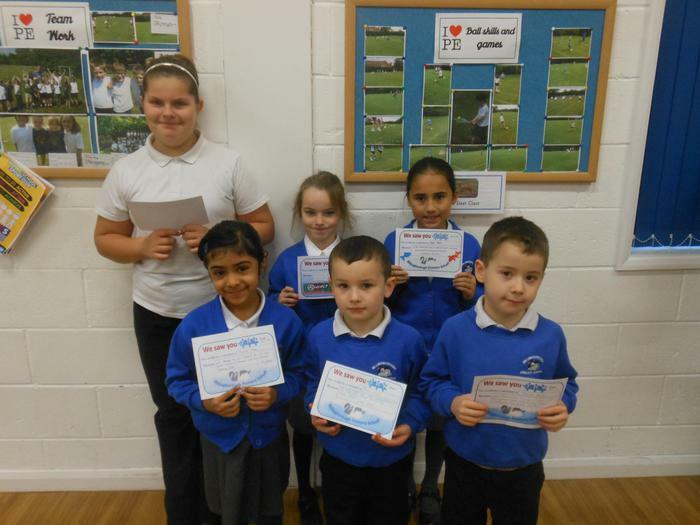 On Friday 10th February, we congratulated many children for their achievements throughout the week. 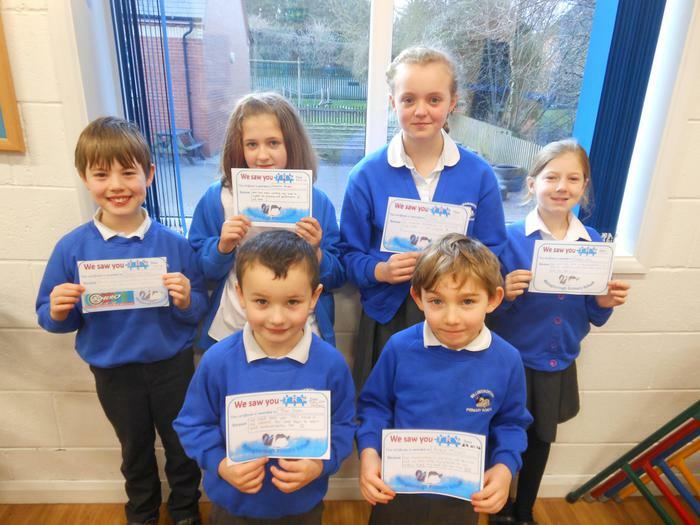 Well done to all the children who were awarded their TRY certificates on Friday 3rd February. Sophia has been recognised for working hard and being a really good friend. Well done to Bethany who has been recognised for trying really hard in Literacy and Topic lessons. 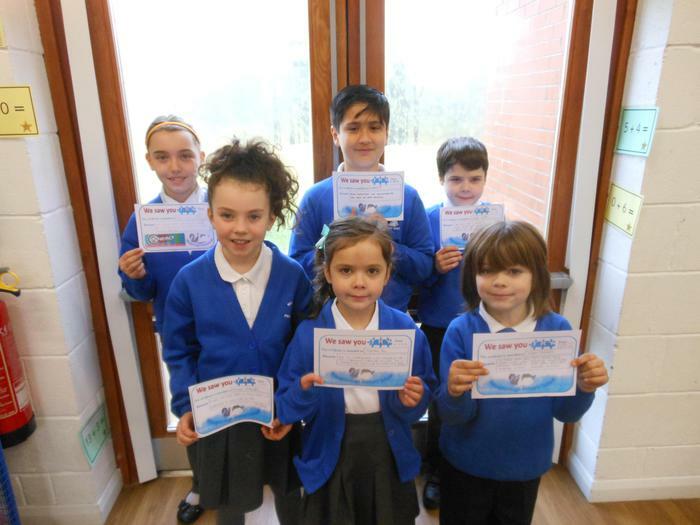 Well done to all the children who were awarded their TRY certificates on Friday 27th January. Summer has such a positive attitude to her learning as well as Corey who has also been trying his best. Well done to Merryn who has been an excellent role model to others working hard in maths, writing, topic, laptop and discussion work too. 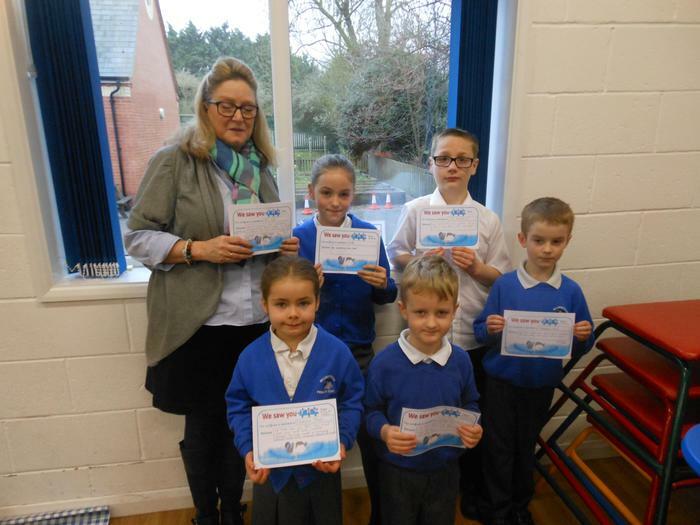 On Friday 13th January, we congratulated many children for their achievements throughout the week. Well done to Milla for her amazing painting of some penguins and Callum for trying hard with his handwriting. Wilf has been recognised for his great attitude in PE lessons and Kyla for her determination, effort and focus during Young Voices and Samba. 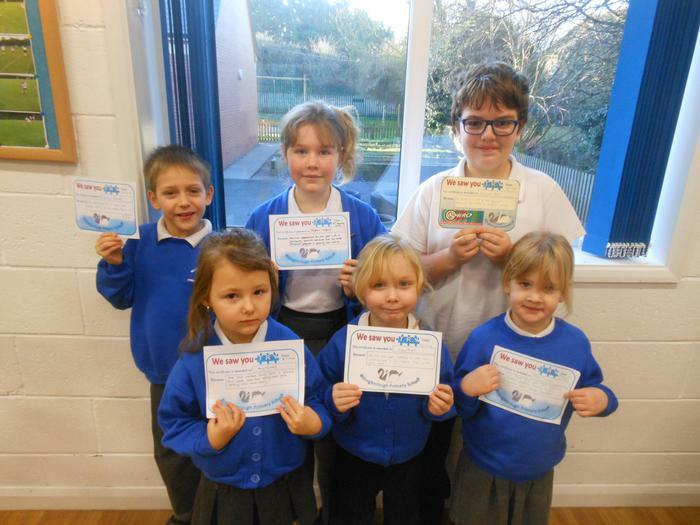 Well done to all the children who were awarded their TRY certificates on Friday 6th January. 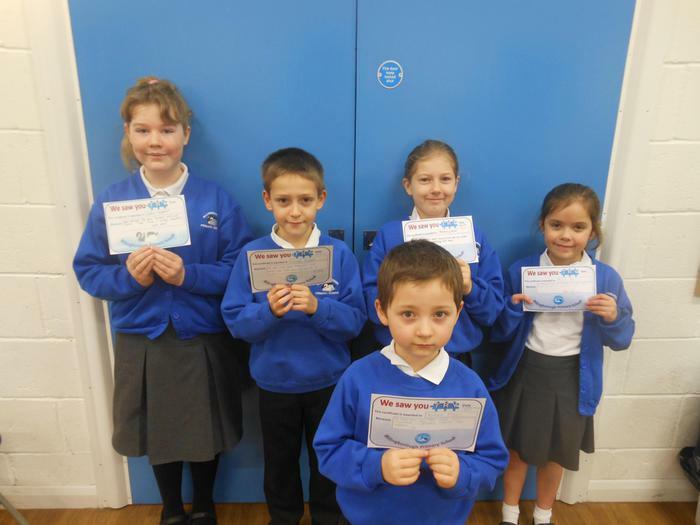 Louise has worked hard this week as well as Jack who has tried hard with his phonics and reading. Congratulations to all of the Y4 children for their positive new beginnings. 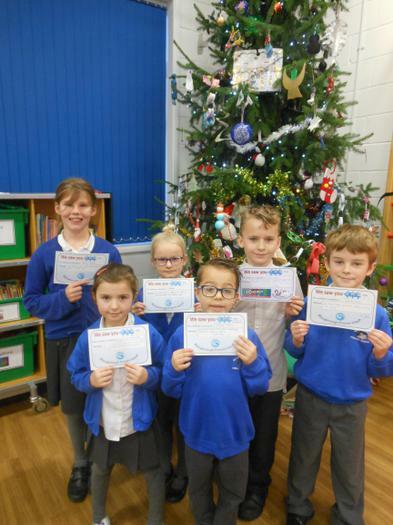 Well done to all the children who were awarded their TRY certificates on Friday 9th December. 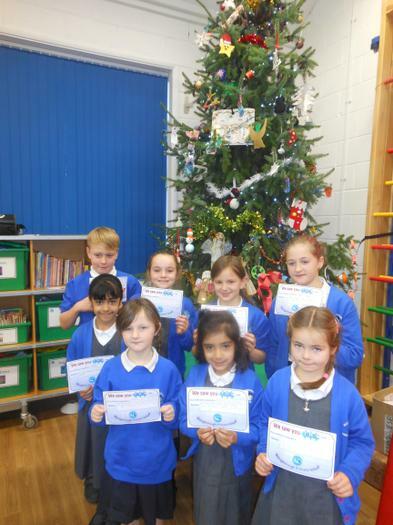 On Friday 2nd December, we congratulated many children for their achievements throughout the week. Well done to Fatimah and Jasmine for learning their lines in the EYFS/KS1 nativity so well to Constanza for her fantastic attitude to learning. Aminah wrote an excellent character description and Melissa has been recognised for working hard in Maths. Well done to Caspar for being a good friend and for thinking and talking about the Power for Good. Isla is always so smiley, kind and helpful as well as Lily who is a fantastic friend. Holly-Rose has been recognised for being such a caring, kind role model who is always there to help others. 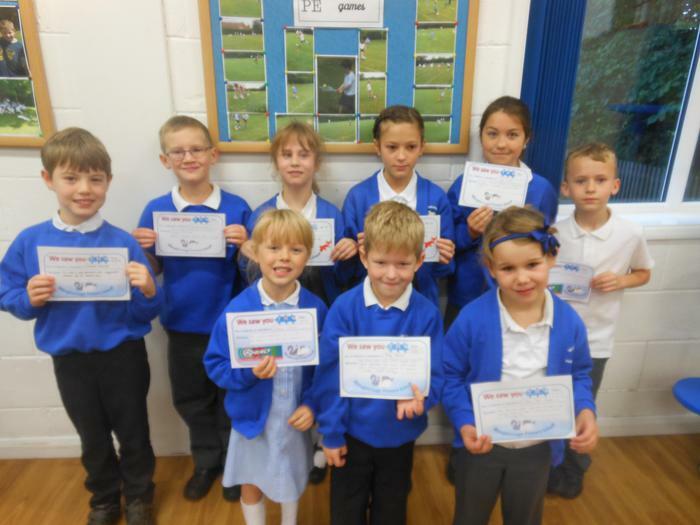 On Friday 11th November, we congratulated many children for their achievements throughout the week. Well done to Flynn for trying hard with his writing and to Rosie-Mai for trying hard with everything. Melissa and Thomas have also been recognised for their fantastic questions on their trip to Southwell Workhouse. 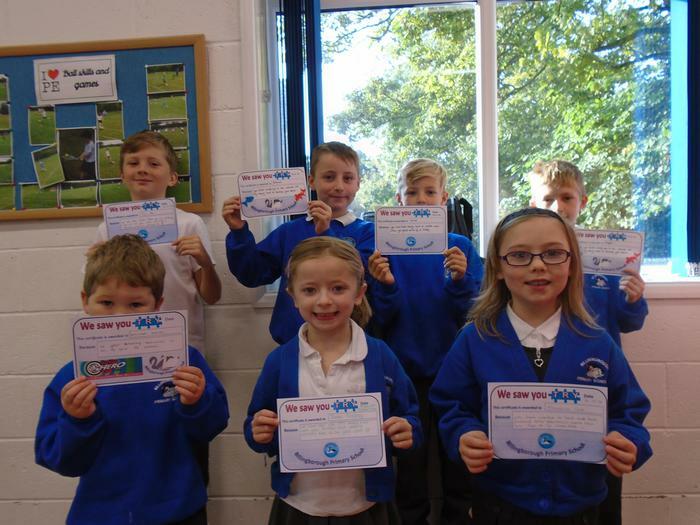 Well done to all the children who were awarded their TRY certificates on Friday 21st October. On Friday 30th September, we congratulated Jack for being helpful and well mannered in the classroom, also to Raef who is trying hard with all activities especially Phonics and Writing. Congratulations to Aminah for always trying her best and also to William for a fantastic effort and attitude towards his learning. 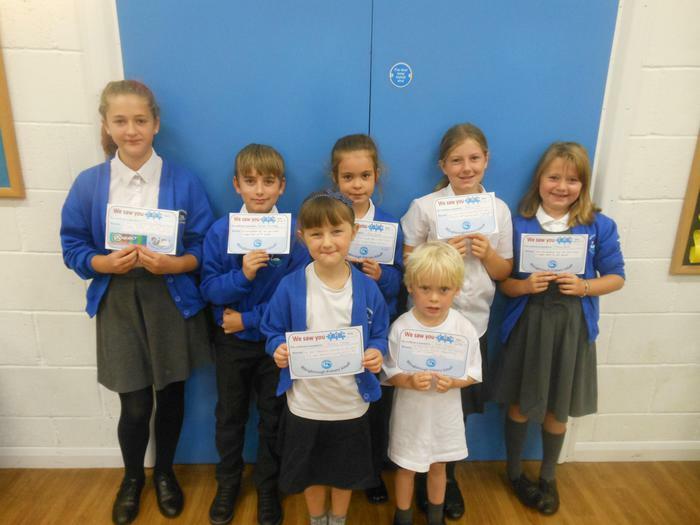 Congratulations to all the children who were awarded their TRY certificates on Friday 23rd September. 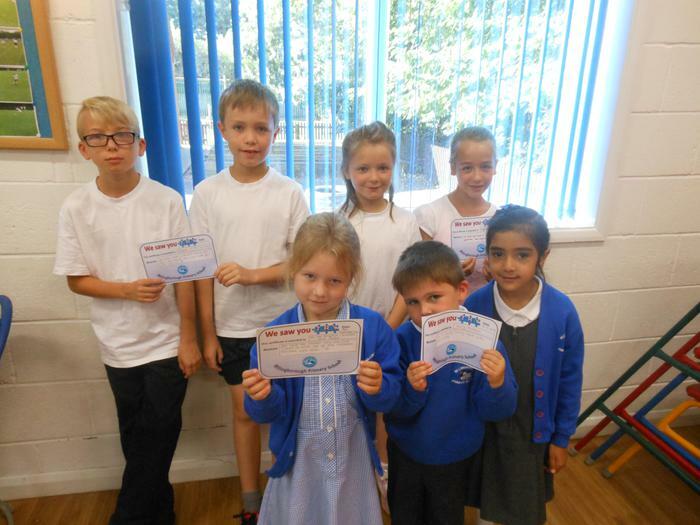 Well done to all the children who were awarded their TRY certificates on Friday 16th September. 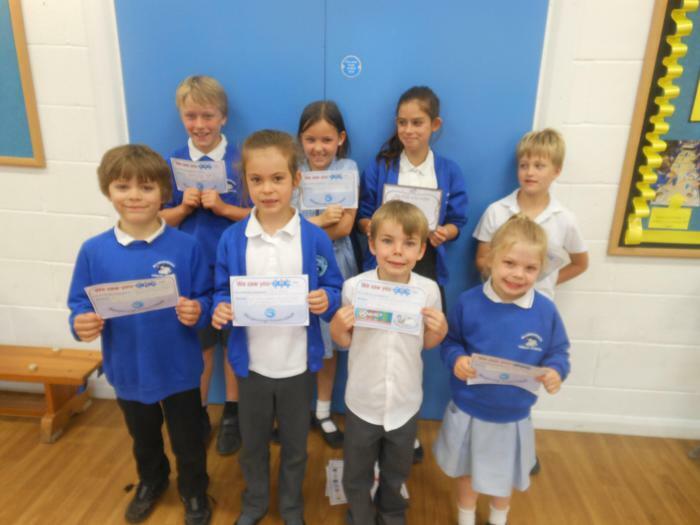 On Friday 9th September, we congratulated many of our children for achieving their TRY certificate. Well done to all the children in Nightingale and Barn Owl classes for making such a fantastic start to the new school year. 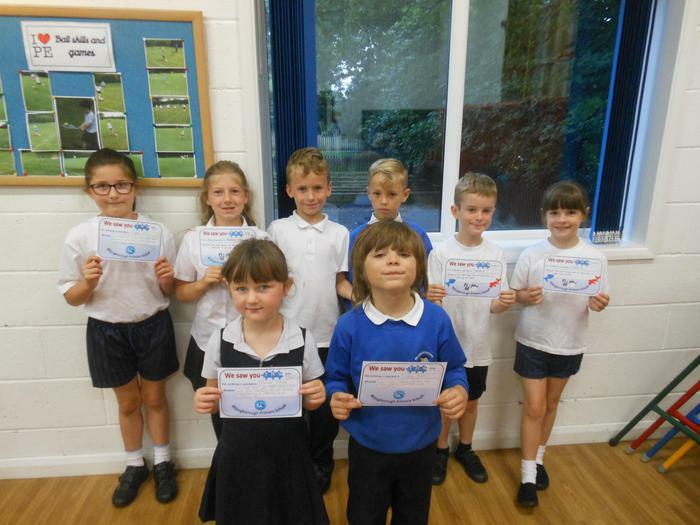 Congratulations to all the children who were awarded their TRY certificates on Friday 15th July. Well done to Jack for trying hard with your writing and Layton for some focused, good quality work. Congratulations also to all of Barn Owl class for their fantastic Variety Performance, you made your parents, family and teachers very proud. 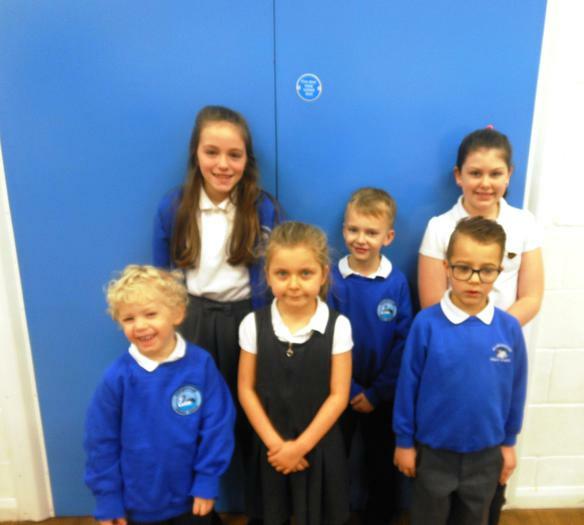 Well done also to Rubie, Scarlett and Jordane for settling into our school so well. 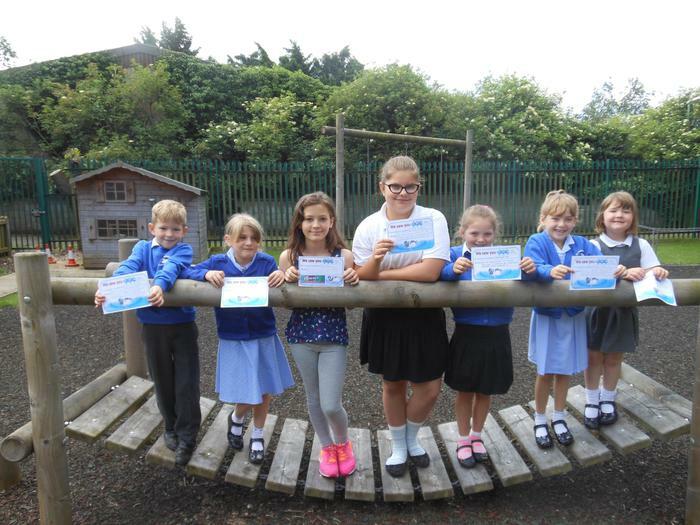 Congratulations to all the children who were awarded their TRY certificates on Friday 8th July. 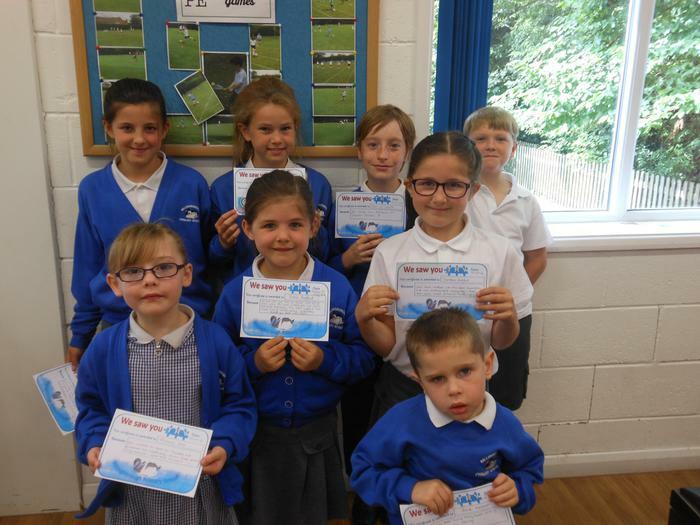 Well done to everyone who was presented their TRY certificate on Friday 1st July. The children in Dormice and Water Vole classes were recognised for TRYing really hard during their school trip to Belton House. 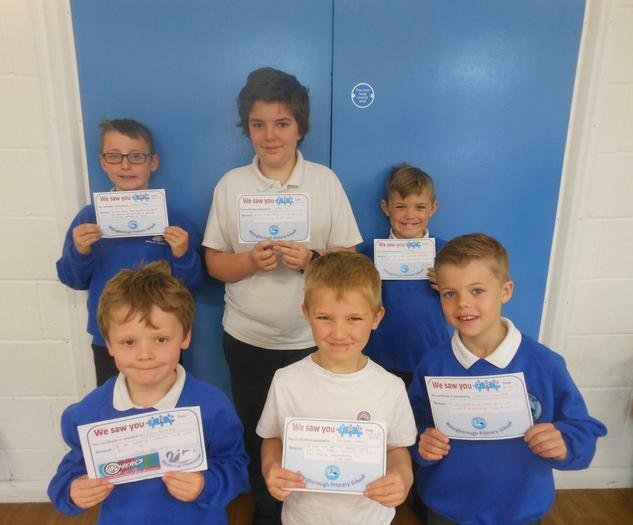 certificates on Friday 24th June. Well done to Isabel and Jade for trying really hard at school. 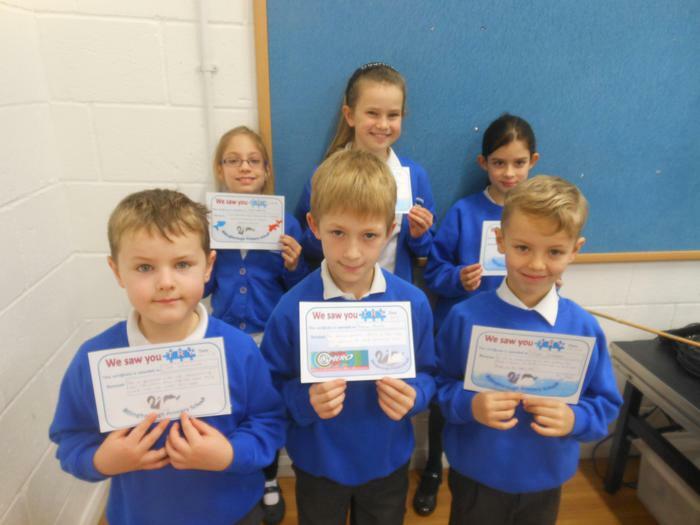 A massive well done to all of the Year 1 children in both Water Vole and Roe Deer classes for your enthusiasm and hard work with your Phonics Challenge. 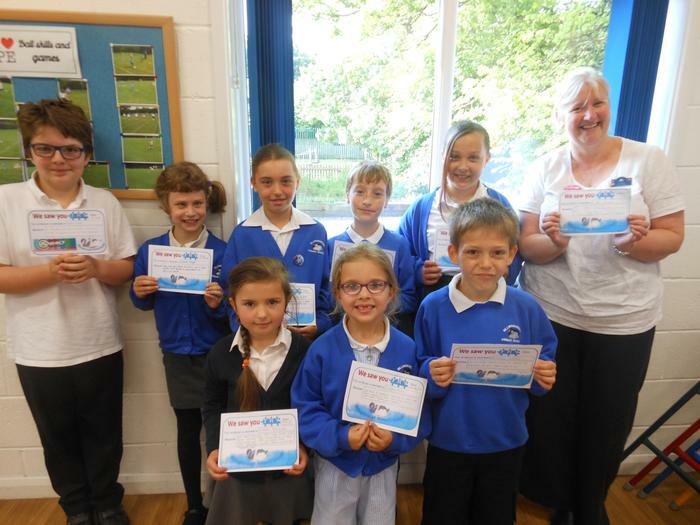 Congratulations to all the children who were awarded their TRY certificates on Friday 10th June. 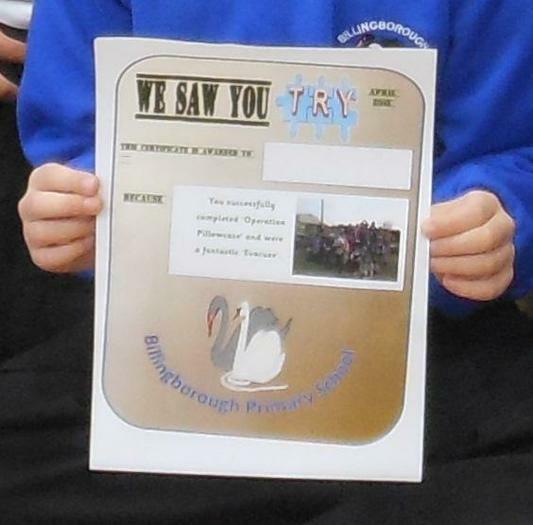 Well done to everyone who was presented their TRY certificate on Friday 27th May. Happy birthday Mrs Grimer too. 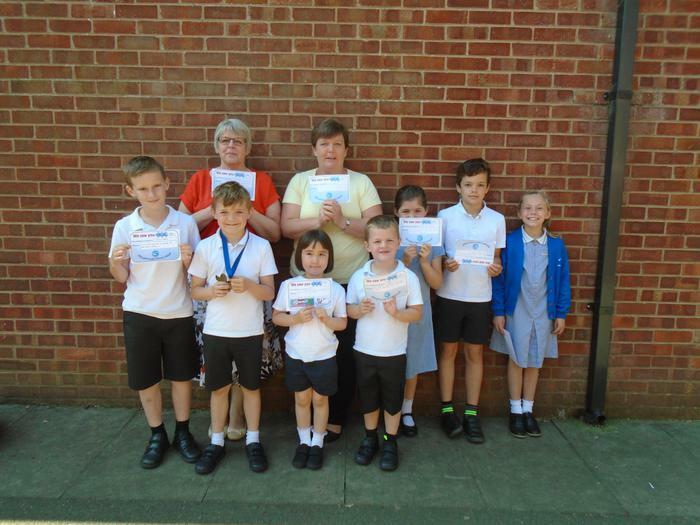 On Friday 20th May, we congratulated many of our children for achieving their TRY certificate. 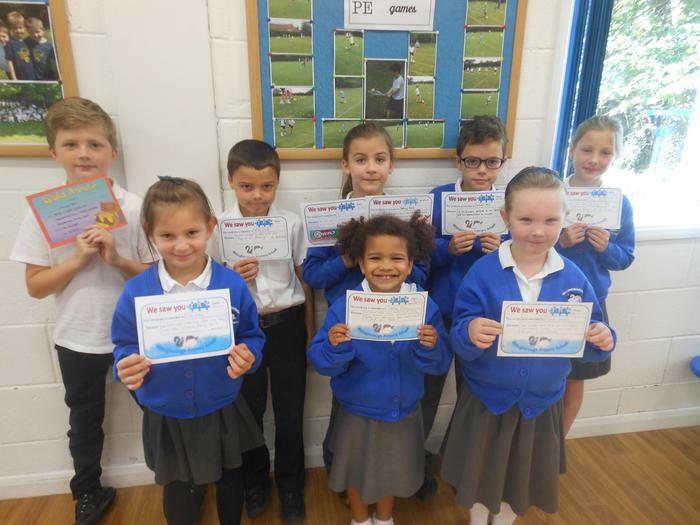 Mr Lincoln presented the PE TRY certificate to Cacey for her teamwork and tactics whilst playing bench ball, whilst all the children in Water Vole and Roe Deer classes were congratulated for TRYing hard with their learning during SATs week and cooking activities. 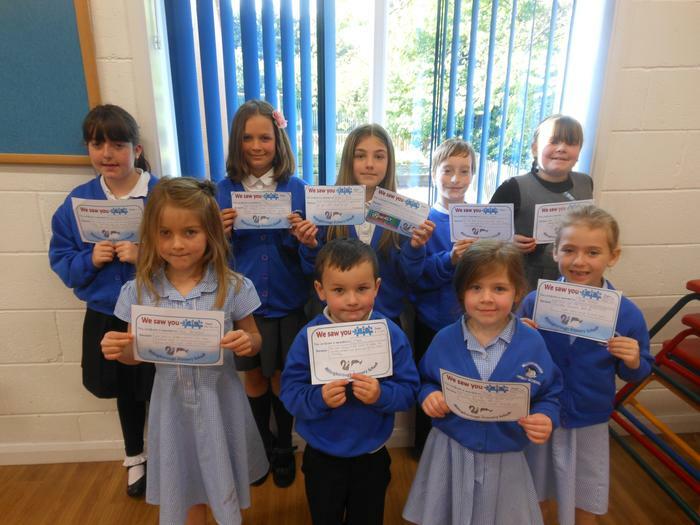 certificates on Friday 13th May. Well done to Tina, CJ, Amy and Jasmine. 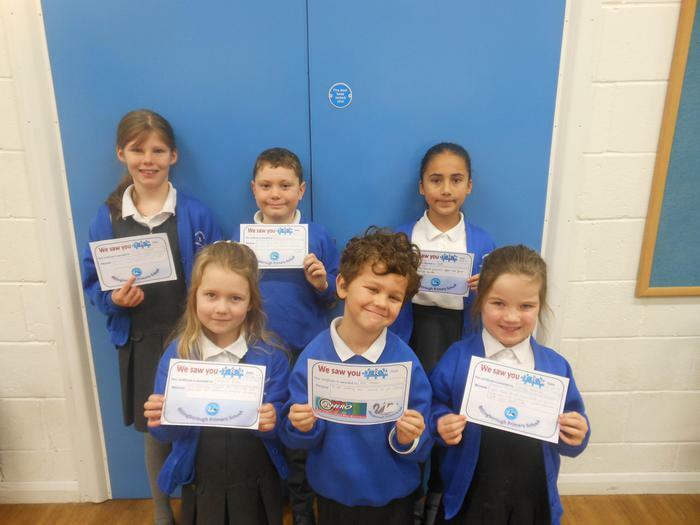 certificates on Friday 6th May. Well done to Darcie who is always kind, helpful and hardworking. Sophie-Louise has been working hard with spellings and successfully using a dictionary to support her learning. A massive thank you and well done to our librarians for their hard work keeping our library organised and tidy for everyone to use. We look forward to meeting our new librarians soon. 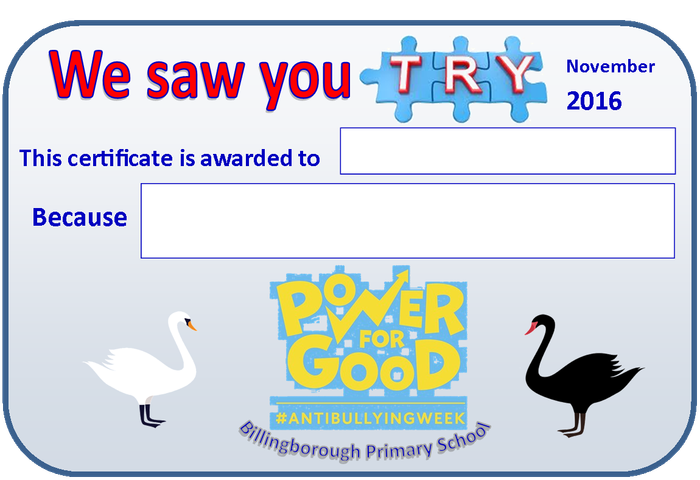 certificates on Friday 29th April. Well done to Riley for his independent Maths work this week as well as Isobel for trying really hard in PE lessons. Robyn has been recognised for her improved presentation and effort with her handwriting. Congratulations to you all. Well done to Corey for 'Trying like Ted' and showing excellent effort with his learning. Myles has been recognised for his interesting and creative writing. Hollie has been trying really hard with her learning and Danny tried hard with his drawings for his 'how to stay safe using the internet' poster. A big well done to Katie who has been recognised for her effort in PE as well as her editing and improving skills with her work. in Maths and Writing. Josh has been trying hard with his writing as well as Chloe who always tries hard with her learning. 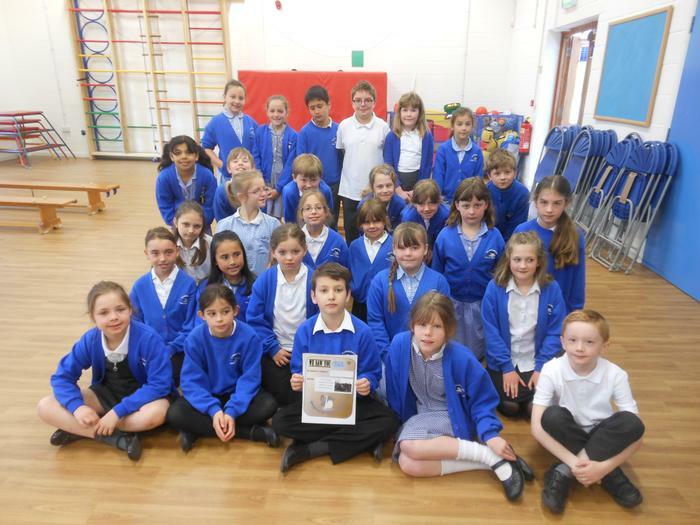 congratulated for his enthusiasm when they visited RAF Cranwell for their Superhero trip. 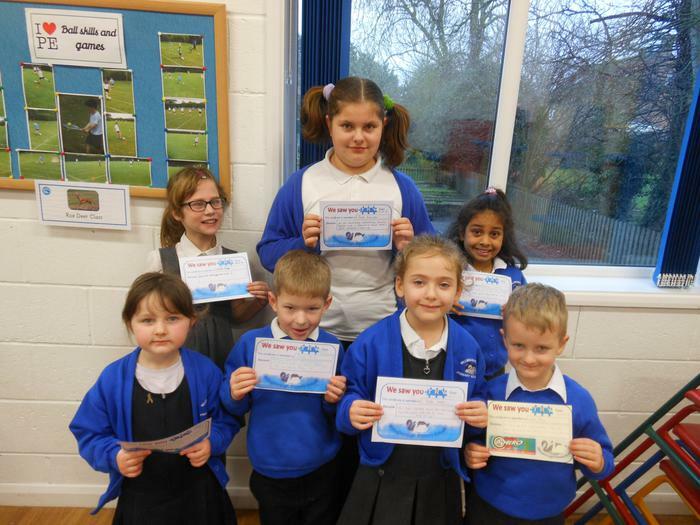 certificates on Friday 26th February. 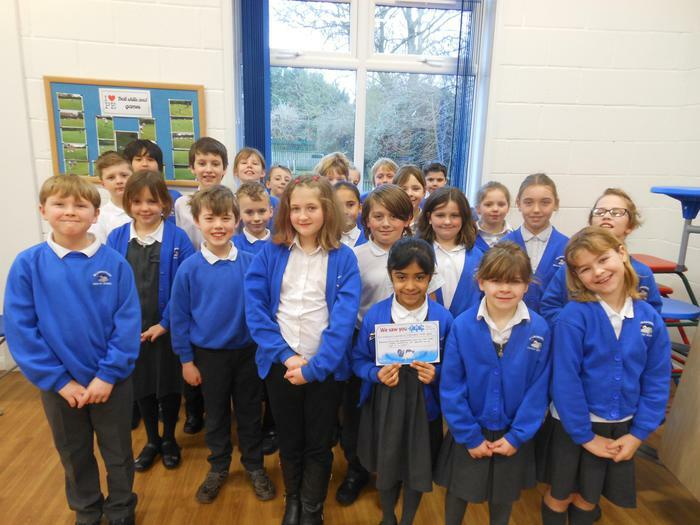 All of the children from Nightingale and Barn Owl classes were congratulated for their exceptional behaviour and on their recent school trip to Woolsthorpe Manor. and positive attitude towards their learning throughout the day. Francesca for trying hard with everything, Woody for the quality and presentation of his work and finally Darcy for working hard in multi skills and tennis. 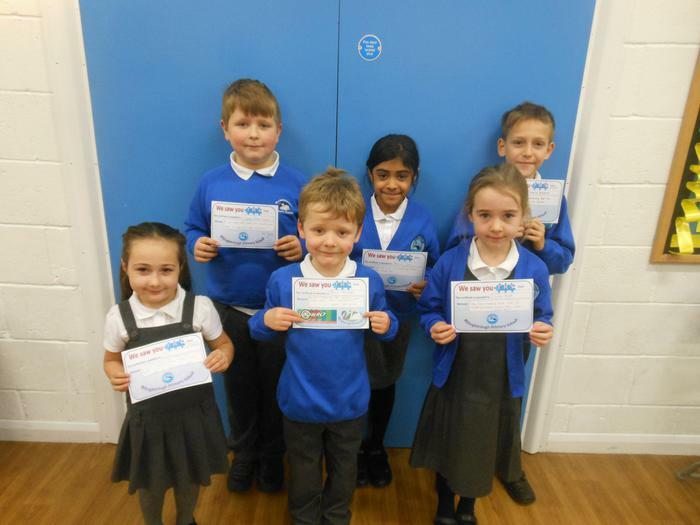 congratulations to the children who were awarded their TRY certificates. 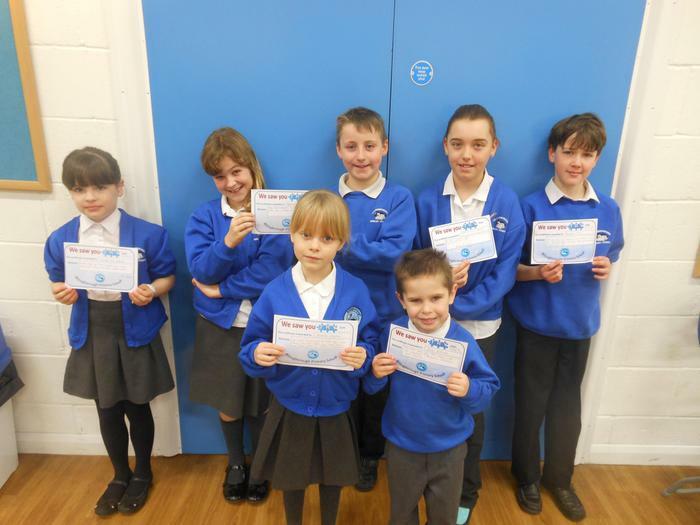 On Friday 5th February, we congratulated many of our children for achieving their TRY certificate. Ria has been trying very hard with all her learning this week, especially Phonics and Literacy. Lydia has produced an excellent piece of descriptive writing and Cassie-Lee's increased confidence in Maths has been recognised. A big well done to Mrs Possnett's Maths group for their determination in their recent maths assessments. 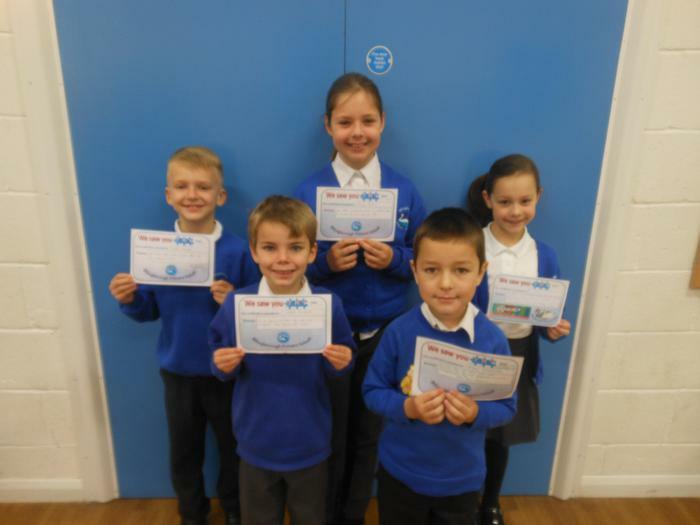 certificates on Friday 29th January. 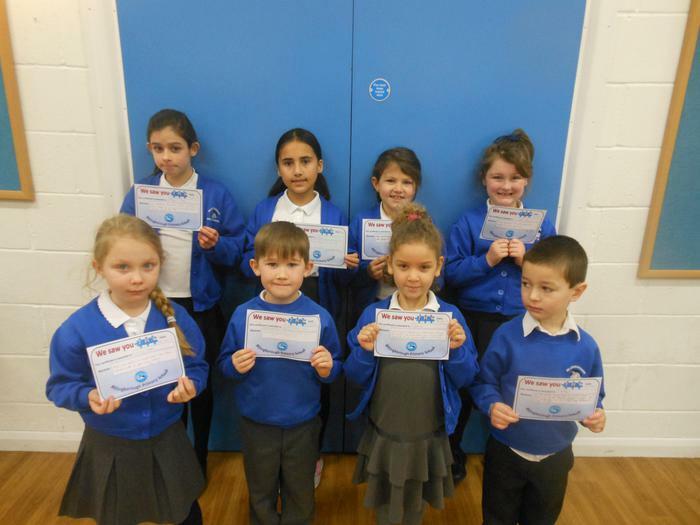 On Friday 22nd January, we congratulated many of our children for achieving their TRY certificate. Mr Lincoln presented the PE TRY certificate to Liam for great story gymnastics, whilst Clare tries hard all of the time and Jasmine has been recognised for her hard work in Phonics and Literacy. Well done to Madaline for her focus and effort with her maths both at school and at home. 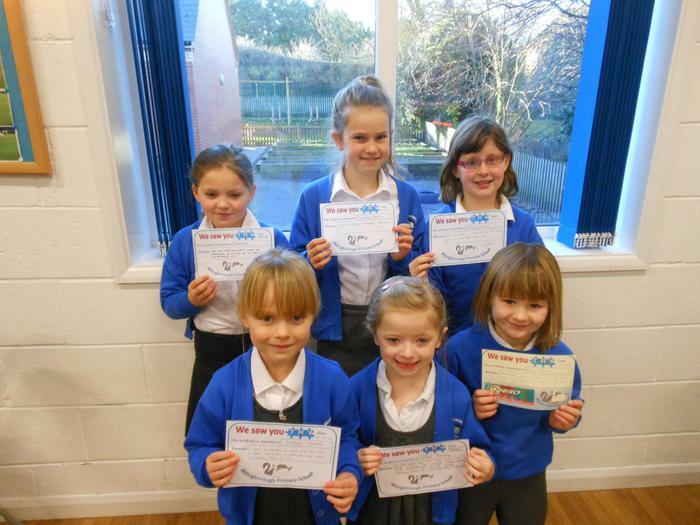 Congratulations to all the children who were awarded their TRY certificates on Friday 15th January. Well done to Isobel for trying hard with her writing and Jasmine for working independently. Rachel has had a good start with her learning in 2016 and Maddison has been praised for her handwriting and presentation of her work. Courtney has worked very hard all week, whilst Mr Lincoln awarded his Sports certificate to Molly for being helpful and encouraging others during fine motor skills activities. Well done to Justus for joining in with phonics activities, helping the children in Water Vole class learn some German words and also for talking more in English to his friends and the grown ups. Robyn has demonstrated determination within Maths and the presentation of Katie's work has been impressive. 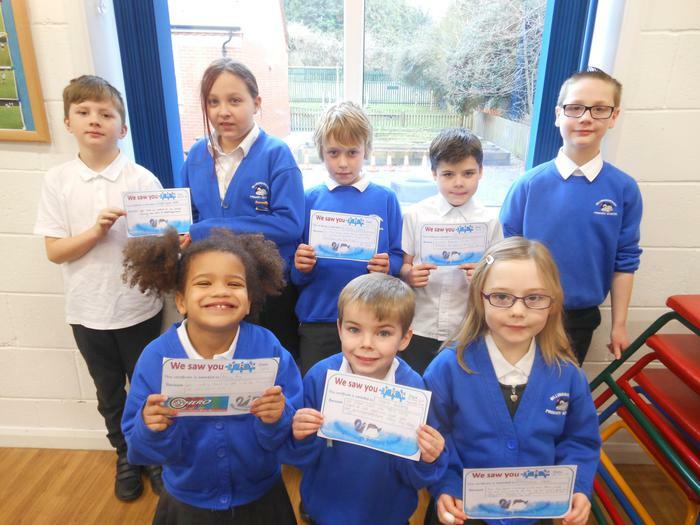 Congratulations to all the children who have been swimming every Friday afternoon, they have showed determination and perseverance. 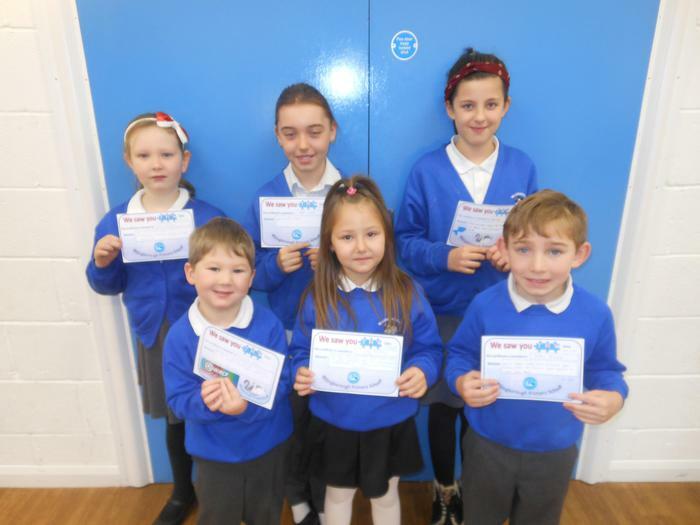 On Friday 4th December, we congratulated some of our children for achieving their TRY certificates. Joseph has been recognised for his reading achievements including his part in the EYFS/KS1 Nativity. Well done to Megan for excellent topic work completed at home and to Holly for her determination and confidence in the swimming pool. A big well done to Reegan for his hard work in Tag Rugby with Mr Lincoln. 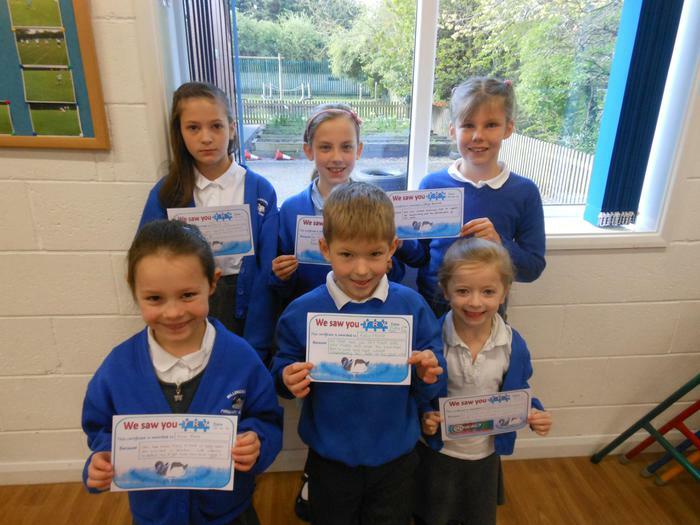 Congratulations to all the children who were awarded their TRY certificates on Friday 27th November. 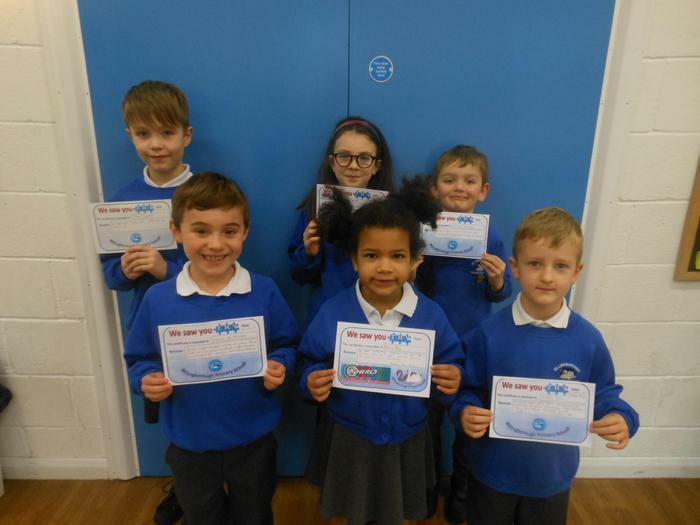 Well done to Aminah for working extremely hard throughout the week as well as Theo and Jacob for their positive attitude towards their learning. On Friday 20th November, our TRY assembly was extra special as Paralympian Carl Blackman presented both the Football team certificates and the TRY certificates. and a big thank you to Mr James and Mr Lincoln too. 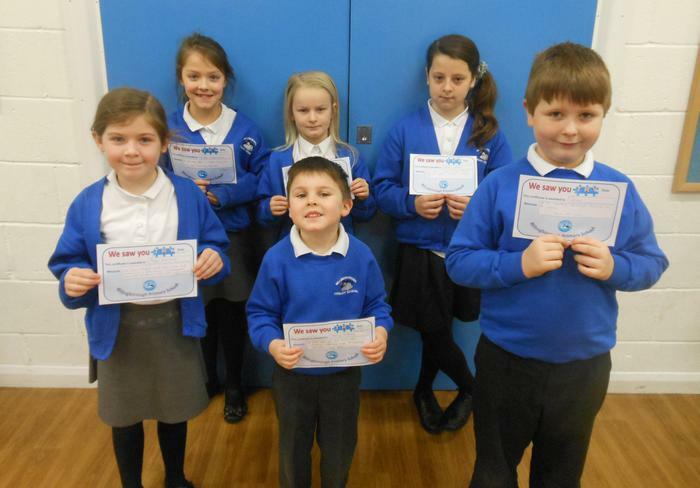 Congratulations to the children who were presented their TRY certificates in our assembly on Friday 13th November. Congratulations to Layla who took part in a role play interview as a war soldier during our Remembrance Day assembly. Well done also to Holly-Rose and Josh for working hard in their lessons. 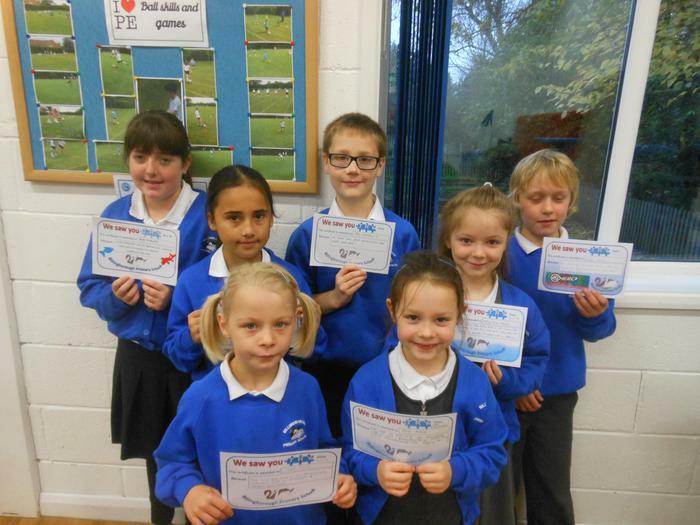 Congratulations to all the children who were awarded their TRY certificates on Friday 6th November. 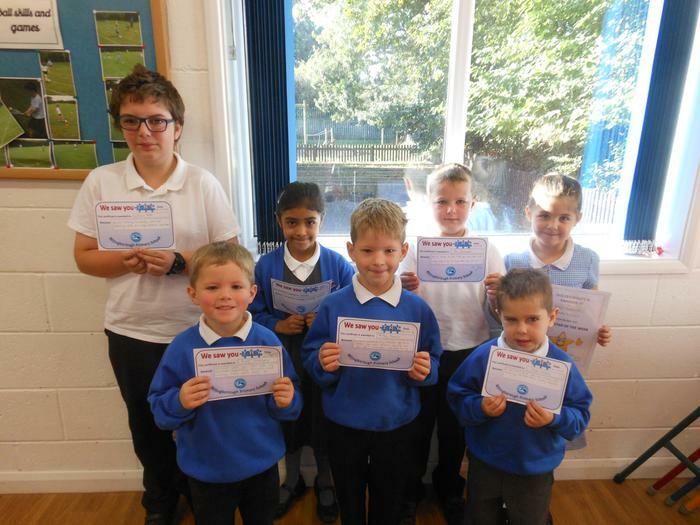 On Friday 16th October, we congratulated many of our children for achieving their TRY certificates. 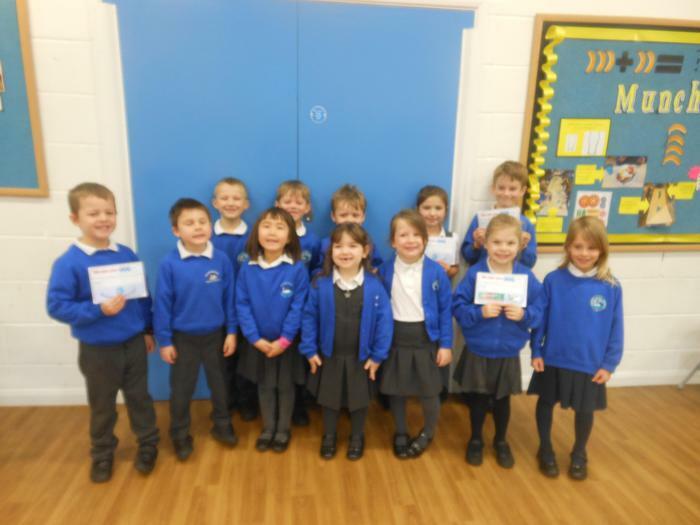 Rosie-Mai has been recognised for being a very good friend and trying hard with her learning. Well done to Tilly for an excellent attitude to work and to Thomas for writing a news article about Buzzard and Nightingale's India experience. Liam was the KS2 winner and Jasmine the EYFS/KS1 winner of our Cooking Competition. 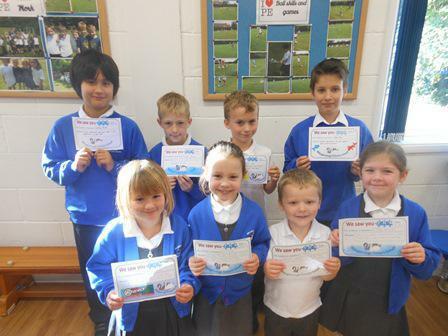 Congratulations to all the children who were awarded their TRY certificates on Friday 2nd October. 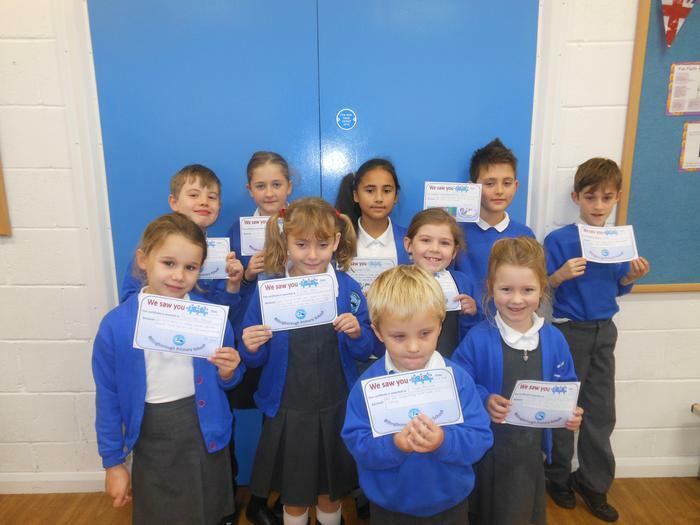 On Friday 25th September, we congratulated many of our children for achieving their TRY certificate. 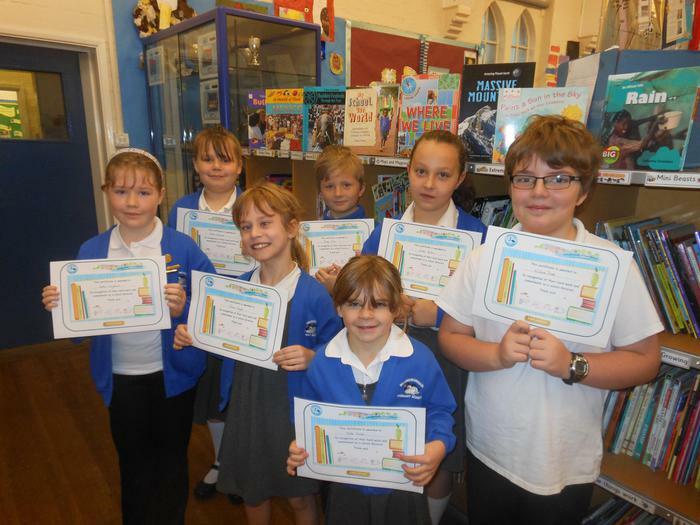 Congratulations to all the children who were presented their TRY certificates on Friday 18th September. Well done to William for excellent presentation with his work and taking great pride in his learning and to Paige for being a Maths Whizz this week. Molly has enjoyed and tried very hard in PE learning the Haka rugby dance, whilst Erin has tried hard with all her learning. 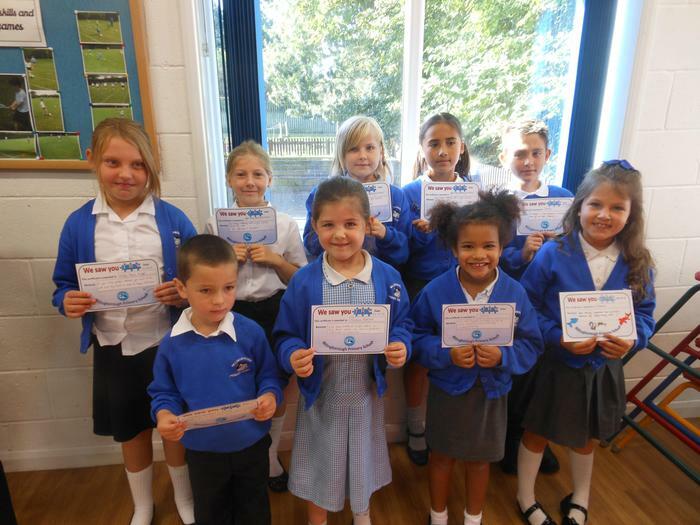 On Friday 11th September, we congratulated many of our children for achieving their TRY certificate. Riley has been recognised for trying very hard in PE with Mr Lincoln and Henry has been a Maths Whizz with his multiplication this week. 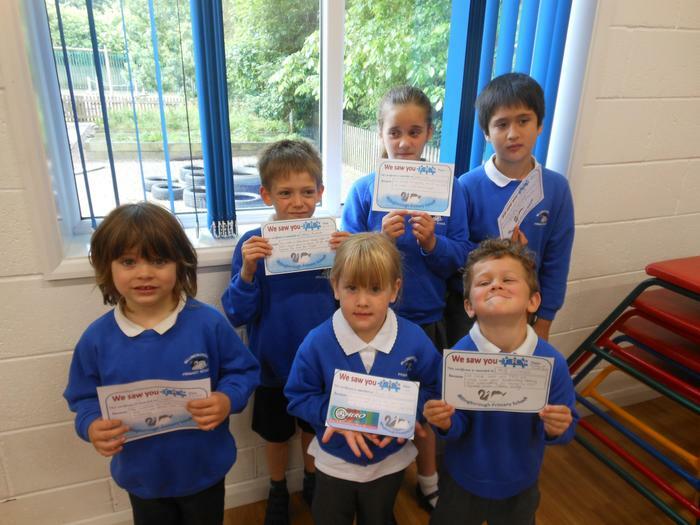 Here are some of our recent super stars! 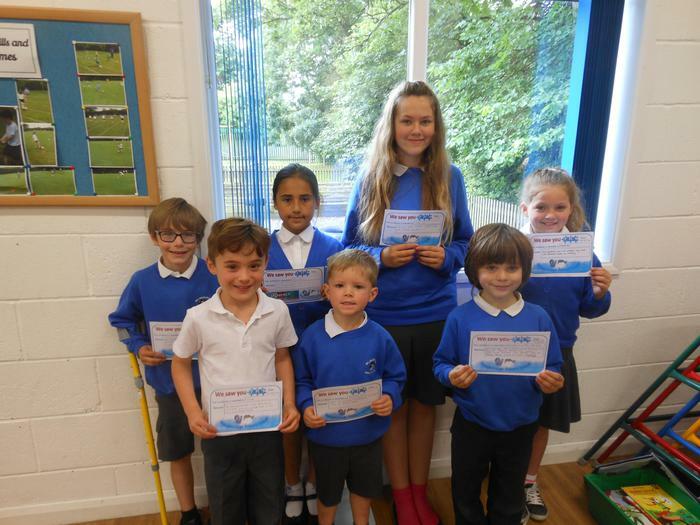 On Friday 3rd July, we congratulated many of our children for achieving their TRY certificate. Erin has been taking part in some fantastic Mummification role play, whilst Finn has been thinking and writing hard within given time scales. The Year 1 children in Sunshine have been very focused on their assessments with amazing 'I can' attitudes towards their learning. 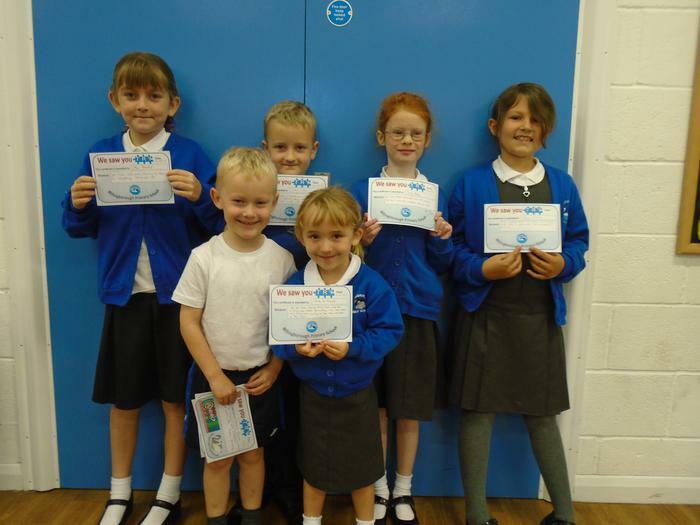 Congratulations to the children who were presented their TRY certificates on Friday 26th June. Well done to Jasmine and Molly for trying new foods at lunchtime and to Erin for writing her sentences independently. Well done also to Zoe for being helpful during Wake and Shake and PE lessons. 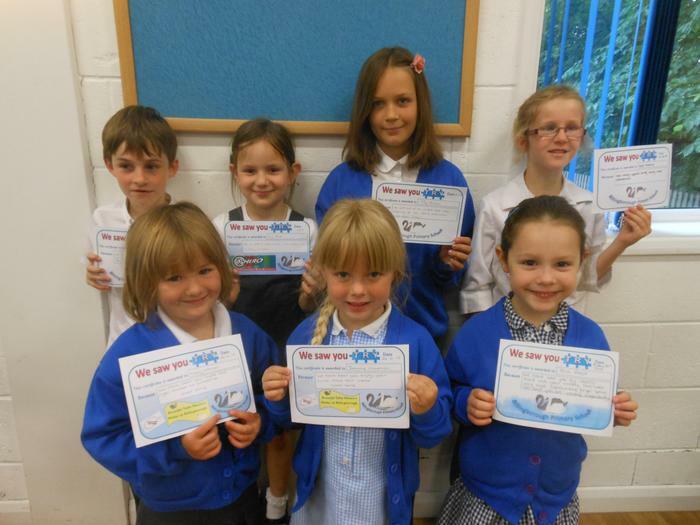 Congratulations to all the children who were presented their TRY certificates on Friday 5th June. Well done to Logan for trying really hard in PE and Phonics this week, Henry for his fantastic chatty thank you letter and Ellie for taking part in Wake and Shake. 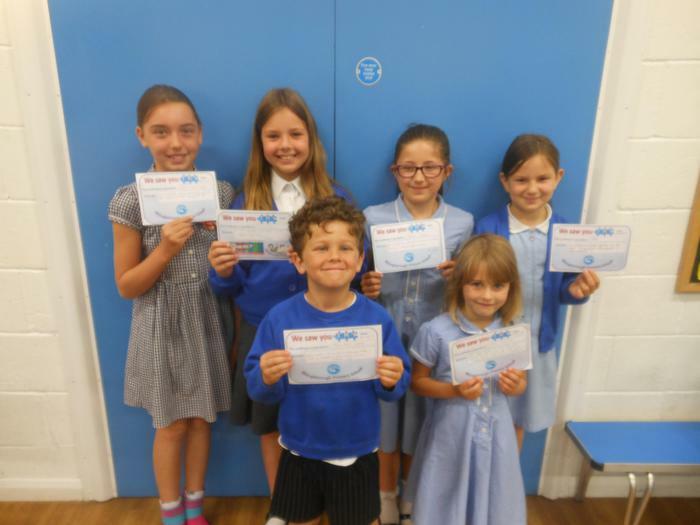 Another Friday 22nd May has arrived and we have 8 children to congratulate this week for achieving their TRY certificates. Theo has been learning how to find 1/2 of objects and numbers, whilst Isla has been trying really hard with her writing this week. "I am so proud of myself" she said during Thursday's Literacy lesson. Amelia's pastel drawing of a sunflower was truly outstanding, you can find her art work on the Thunder Class Page. 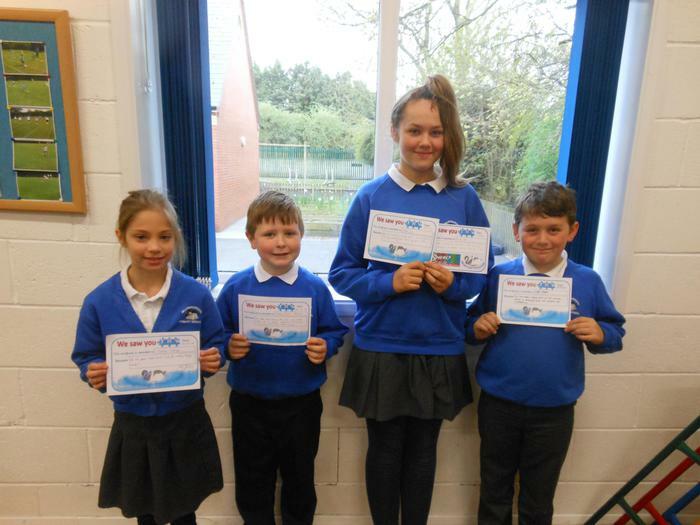 On Friday 15th May, our Y6 children were presented their TRY certificates for their continued hard work during SATs week. Dominic has produced an excellent Tutankhamun sketch, Thomas has worked hard with his equivalent fractions work and Cacey has been recognised for her addition work. Mr Lincoln awarded the Sport TRY certificate to Zoe. Congratulations to everyone. 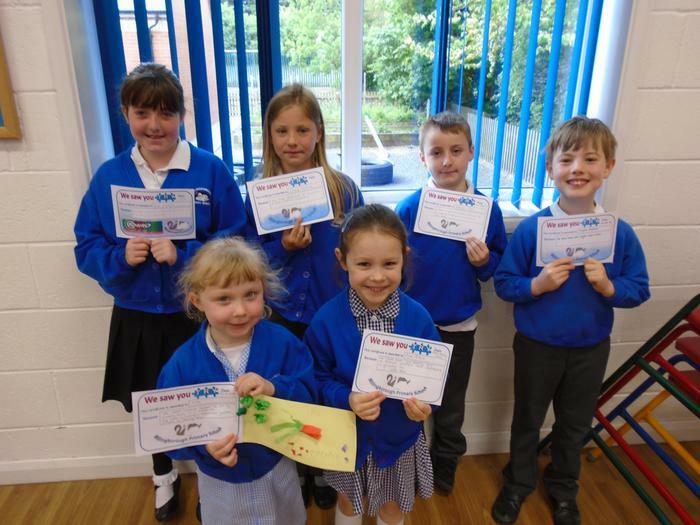 Congratulations to the children who were presented their TRY certificates on Friday 8th May. 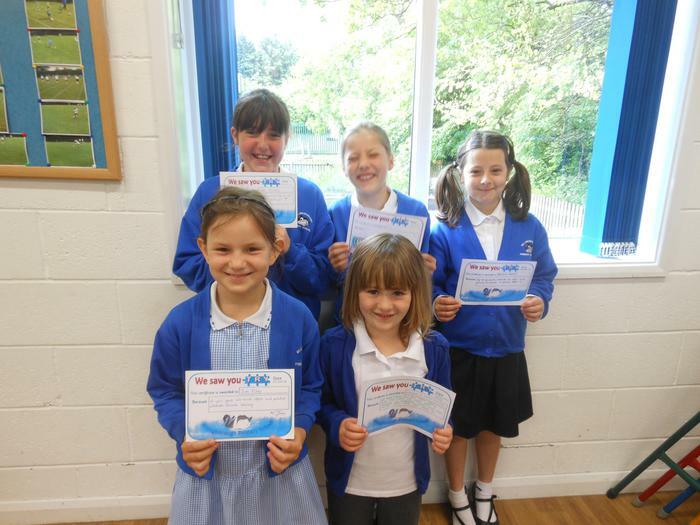 Jade and Paige were awarded their TRY certificates for being kind, gentle and friendly towards others. Well done to Theo who achieved his TRY certificate for trying hard with his handwriting and writing throughout the week. 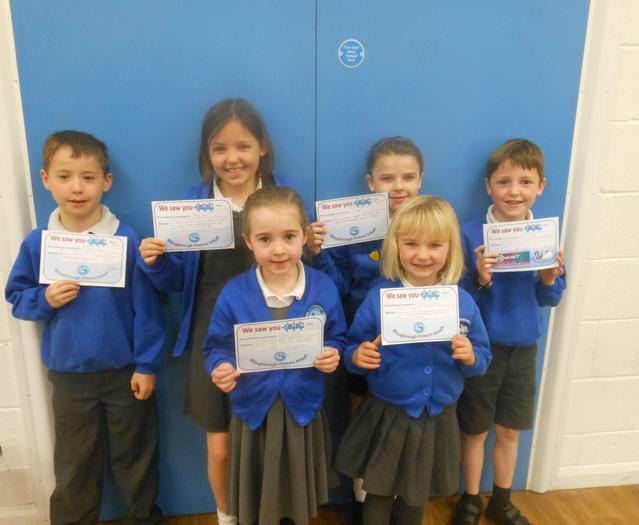 Congratulations to the children who were presented their TRY certificates on Friday 1st May. Cara has been recognised for her determination to succeed in Maths along with Melissa who has also been solving Maths problems and showing great determination. Well done also to Arthur who has been working hard with his Phonics and Charlie who has been a very enthusiastic writer this week. Congratulations to the Thunder class evacuees and the adults who successfully completed Operation Pillowcase at Rand Farm. 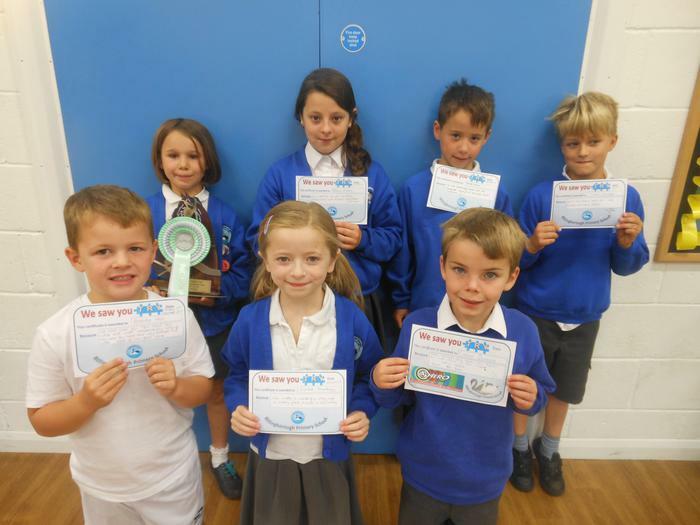 Every term children who have tried especially hard may receive a trophy and their Achievement Badge.